Chevy Bison/GMC General Comparison shots !!!! 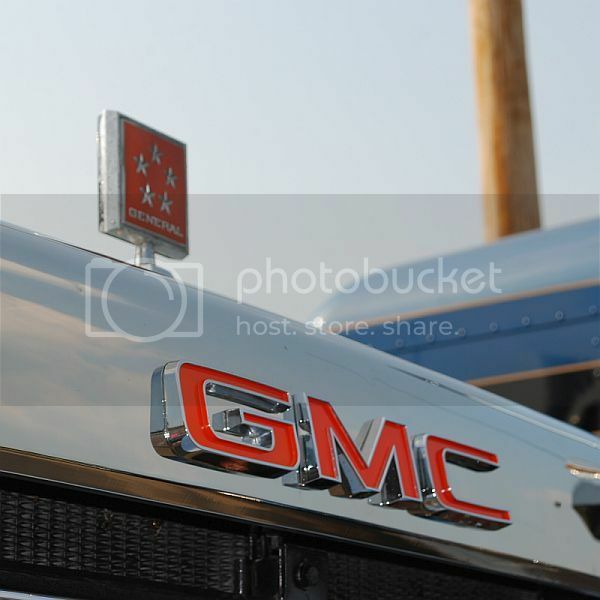 Re: Chevy Bison/GMC General Comparison shots !!!! 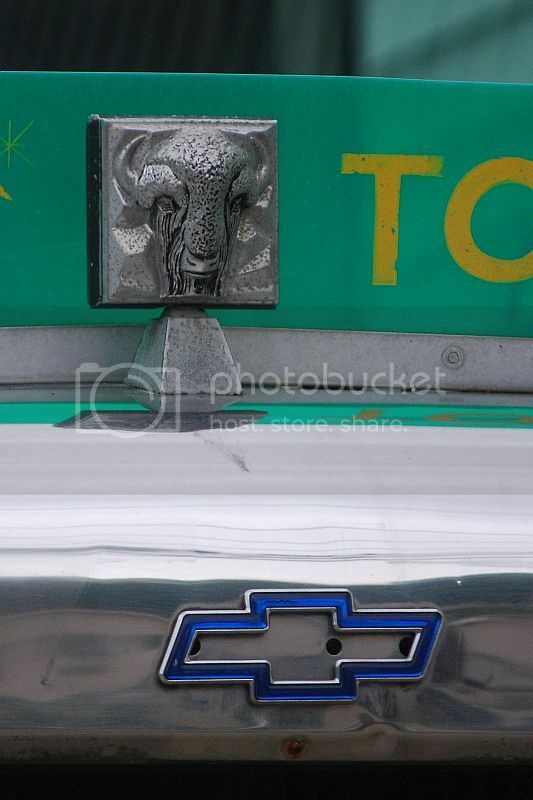 I'm not sure what the deal is with the Chevy Bison; can't recall there being any visible vertical grille bars on them. Looks good though, nice duo! Don't recall Cheverolet offering Peterbilt battery boxes either. :-D Anyways, still a beautiful restoration. I was there yesterday, too. According to the owner, the Bison is a 1979 model that spent its career pulling a fire tanker for the Magnolia, DE VFD - it only has 32,000 miles on the odometer. The only body work needed was to plug the holes left from the antennas and light bar. 108" BBC, 350 Cummins, 13 speed Roadranger, originally had spokes on the drives. I came back through Bridgeville and saw those trucks sitting next to US 13, but the light was pretty well gone by then. The owner of the Bison told me that the last Chevy Titan built is owned by a farm implement dealer in southern Delaware (he mentioned the name, but I don't recall it) and is still a working truck. Beautiful CHEVY and Beautiful GMC!!!! I wanted to post this a couple days ago but then the big virous had to spoil that so here it is, Gary Morton has a good view here of a Bison grille, same as the General but with no high-lit vertical bars! Ray, you're right, the Bison you posted seems to be just shined up well creating a different look then the familiar GM version! I'm not sure what the deal is with the Chevy Bison; can't recall there being any visible vertical grille bars on them. ...Chevrolet trucks horizontal grille bars. ... GMC vertical bars. ...long time tradition. ...Jim. Wow! That blue Bison looks great! Was there a difference in market for these two trucks, like one being OTR vs. one vocational? Seem to see quite a few more Generals in photos than Chevrolets.